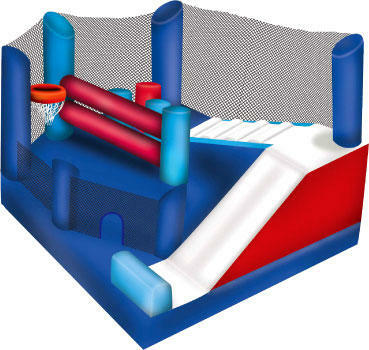 If your child loves Spongebob Squarepants, then you have to get this large combo obstacle jumper for your next party. 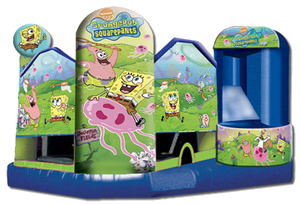 Frolic under the sea with Spongebob, Squidward, Patrick, Sandy, and his pet Gary. 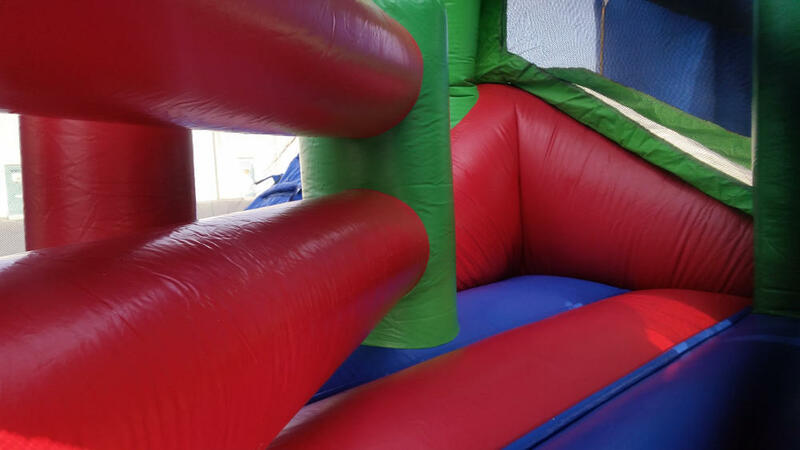 Every kid wants a combo unit like this one and you would be a superstar parent for making their party incredible. 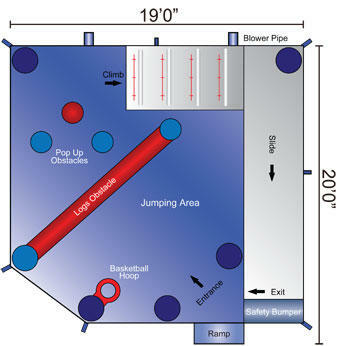 Kids can bounce, climb through obstacles, shoot basketballs, and slide. 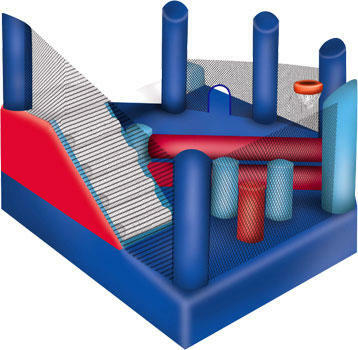 Book the Sponge Bob 5 in 1 Combo today!